Council directed staff to work on the prelimainray design for the Grand Connection I-405 crossing. Bellevue will pursue a “Lid Park” for the Grand Connection. At the Nov. 19 Bellevue city council study session, the council directed staff on their preferred location for the Grand Connection project to cross Interstate 405. The Grand Connection is a city project established to create a non-motorized connection from Meydenbauer Bay Park, across I-405, and into the Wilburton Study Area where it will connect to the Eastside Rail Corridor. Staff outlined the range of factors that must be considered in the decision. The Grand Connection is meant to pursue opportunities to create public space on or adjacent to the crossing, create a safe crossing for pedestrians and cyclists, serve as a catalyst for adjacent development in the Wilburton Study Area, and interface with the future Eastside Rail corridor. Part of the framework plan for the project presented three concepts for I-405 crossing segments and how they will connect with the Wilburton Commercial Area. Alternative three, known as Lid Park, was the staff’s recommended option. The Lid Park Alternative would cross over I-405 between Northeast Fourth and Northeast Sixth streets. According to the city’s Grand Connection website, 200,000 square feet of public space would be created along the connection for public use and events. Strategic planning manager Emil King explained the open space would be on top of a lid that would sit over the highway, similar in nature to Kylde Warren Park in Dallas, Texas. In discussion, all of the councilmembers were supportive of the third alternative. As the biggest and most transformational option, the Lid Park option was called a once-in-a-generation opportunity. 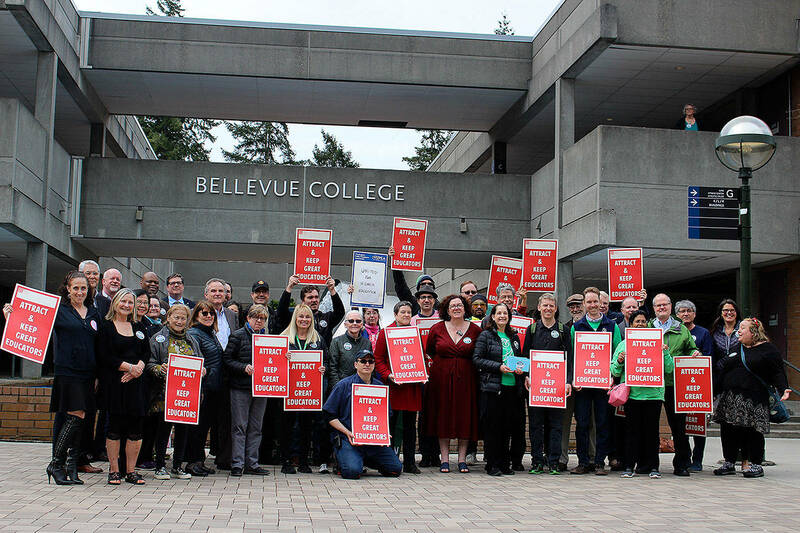 Councilmember Jennifer Robertson said, with the current value of land in Bellevue, the ability to create almost four acres of parkland is extremely valuable. The rest of the council agreed, citing benefits like transportation connections, park land, place making and economic development. As further work is done on the project the council asked staff to look for potential outside grant availability to help funding, and to consider design work to create a smooth pathway for commuters riding bikes across the lid. The council unanimously voted to direct staff to pursue alternative three, the Lid Park option. Staff will now spend a significant portion of time in 2019 and 2020 on design, planning level cost estimates, and preliminary engineering. The environmental review will continue, and the city will continue engaging Washington State Department of Transportation, stakeholders, and the public on future discussions. King also said efforts will also be made to seek partnerships and potential funding sources for the large scale civic investment. More information is available on the city’s Grand Connection website www.bellevuegrandconnection.com.